Apple iPhones are known for their stable and responsive behavior but that does not mean these phones never get frozen or face other kind of issues. iPhone getting frozen is one of the common issues users face and if you are one of those users, you need not worry as there are a number of solutions available to fix the issue on your device. The following guide teaches you how to unfreeze iPhone. From the oldest to the newest, almost all the iPhone models are prone to get frozen due to a variety of reasons. Maybe you have made some changes to your iPhone's system and it is causing the issue. The below guide lists out the possible reasons of why your iPhone XS/XS Max/XR/X/8/7/6/5 gets frozen and what you can do for each reason. The most common reason of why your iPhone gets frozen is the unresponsive apps you have on your device. Not all of the apps that you install on your iPhone are stable. Many of those have codes that make the entire app unresponsive and you end-up getting your device frozen. 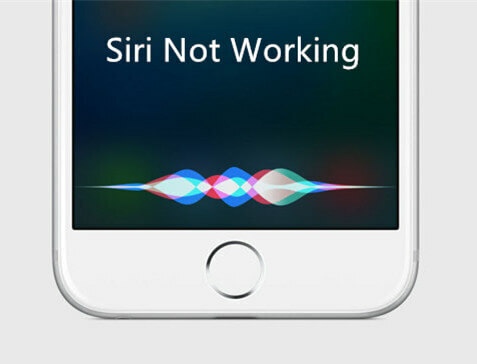 It could be that there is a software glitch on your iPhone that is causing the iPhone 6S won't charge issue. In that case, your best bet is to use an iPhone fixing tool that can help you fix the issue on your device. Fortunately, it is easy to unfreeze an iPhone if it has been frozen due to unresponsive apps. All you have to do to fix the issue is close all apps that you find unresponsive on your device and you are good to go. You can do that by pressing the Home button twice and then swiping up the unresponsive apps. Once the apps have been closed, get rid of them by uninstalling them so your iPhone doesn't get frozen in the future. Another possible reason for the issue could be a glitch in the software of your iPhone. If a glitch or a crash is the reason, your iPhone will even behave abnormally in addition to getting completely frozen. You don't need to worry though as these software issues can easily be fixed as shown below. iPhone 6 or below series: Press and hold down the Home and Power buttons together for a few seconds. You will see the Apple logo appearing on your screen. When that happens, let go of the buttons and your iPhone will reboot. iPhone 7 Series: For iPhone 7/7 Plus, you need to manage holding the 'Sleep/Wake' and 'Volume' button as long as the Apple logo does not appear on your iPhone's screen. iPhone 8/8 Plus and X models: Firmly hold and release down the 'Volume up' button. Then, repeat the same procedure with the 'Volume Down' button. After that, hold the power button till Apple logo does not display over your screen. On your iPhone, launch the Settings app from the springboard. When it opens, find the option named General and tap on it. Then, tap on the option that says Reset at the bottom. On the screen that opens, find and tap on the Reset All Settings option. 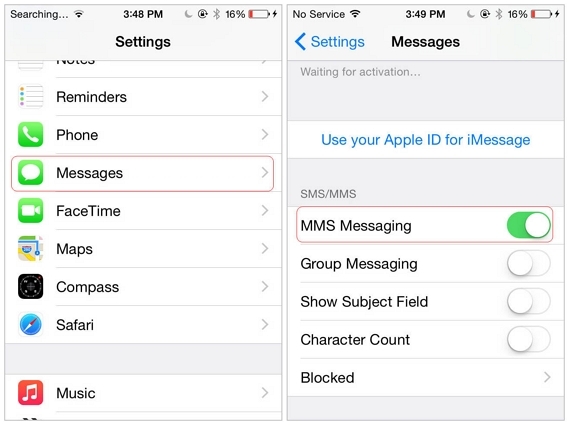 Follow the on-screen instructions to reset settings on your iPhone. If you are running out of memory space on your iPhone, your phone will likely get frozen as it can't find space to store temporary files. And since there's no space for temp files, the phone gets frozen as it doesn't know what to do. To fix the insufficient space issue on your iPhone, you can delete some content from your device that you no longer use. It could be apps, photos, videos, or anything else that occupies your memory space. Once you've gotten rid of some content, reboot your iPhone and you will have gotten rid of the freezing issue as well. 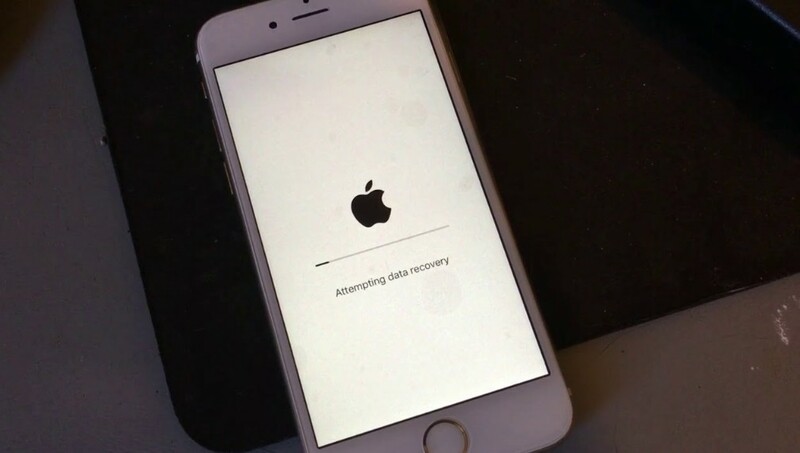 While many minor software glitches can be fixed using the built-in options on your iPhone, some glitches, especially the ones related to the OS or firmware can only be fixed by a third-party software. Fortunately, there's such a tool that lets you fix these kind of issues on your iPhone. Enter Any iOS System Repair, a software that allows you to fix a number of issues on your iOS based devices. It has a fix for almost any kind of issue that you can possibly face on your device. In this section, you will learn how to use it to unfreeze your iPhone. Step 1: Download and install the software on your computer. Connect your problematic iPhone to your computer and click on Repair Operating System option in the software. Step 2: Click on Start Repair on the following screen and tt will ask you to download a firmware for your device. Click on Download to do that. Step 3: Click on Start Repair when the firmware is downloaded. The software will soon have repaired your iPhone. There you go. Your iPhone should now be unfrozen, all thanks to Any iOS System Repair (ReiBoot). If your iPhone ever gets frozen, our guide above should teach you how to unfreeze iPhone so you can unfreeze your iPhone using multiple methods. We hope it helps you out with your situation.